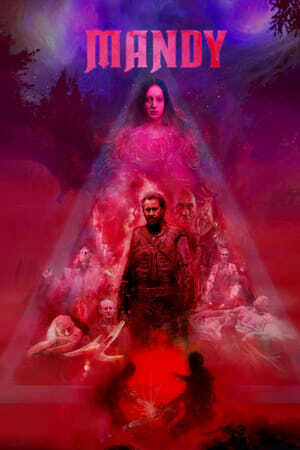 When a zealous, religious, sadistic leader (Linus Roache) spots Mandy (Andrea Riseborough) walking down the road and plots to kidnap and possess her body and soul, this sets up this dreamy, visual tale as her husband, Red Miller (Nicholas Cage who shines) moves heaven and earth to extract revenge. It’s really a simple story with wonderful 1980’s elements (it takes place in 1983) but what separates this from most films out there is the cinematography and lighting that is hazy, breathtaking, spooky, sinister, captivating and terrifying sometimes all at once. This is a visual film with minimal dialogue, extremely graphic and violent with echoes of David Lynch with shout outs to The Texas Chainsaw Massacre and the Mad Max films. Definitely not for the faint hearted but those with a hankering for this type of film will be in for a treat.